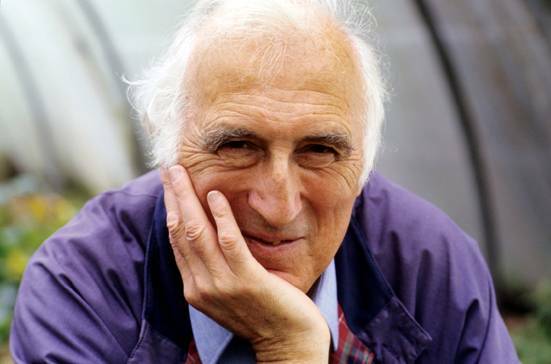 Last Friday at Vintage we discussed Jean Vanier, who, at 38, bought a small home in Paris and invited three men with developmental disabilities to come live and share the home with him. This was the beginning of his community. Vanier's vision grew into a global hospitality movement that is known as L'Arche, a safe space men and women with mental disabilities to discover their spirituality, explore vocations, and, most importantly, experience community. He said, "Community is the place where we ideally learn to be ourselves without fear or constraint. Community life deepens through mutual trust among all its members. The more authentic and creative a community is in its search for the essential, the more its members are called beyond their own concerns and tend to unite... Community is established by the simple, gentle concern that people show each other every day. It is made of the small gestures, all the services and sacrifices which say 'I love you' and 'I'm happy to be with you.'" I wonder which came first: Vanier's concept of community which was then applied to the L'Arche philosophy, or L'Arche which showed a pure sense of community from which this definition stems. I think that in being a student at UVa, I hear the word "community" used quite a bit to describe my current setting. We're told we're a community, a family, or at the very least, a bunch of students that should be tied together by the fact that we are all students. I hope I don't sound cynical, because I truly have experience fleeting moments of community at UVa, which are precious and dear to me. But if we look at community through Vanier's idea, community is sacred. When the UVa brochures talk of the community of students, I think they miss this meaning. But Vanier is careful to point out that community is imperfect. It must go through stages - at first we are enamored with our group of people. We don't see their flaws and "everything is marvelous," as Vanier stated. But in the second stage, we are no longer disillusioned. We now recognize that being in community is hard. The third stage -- if we can get there -- is one of realism and commitment. The members of the community "no longer see other members of the community as saints or devils," Vanier said, "but as people; each with a mixture of good and bad, darkness and light, each growing and each with their own hope. The community is neither heaven nor hell, but planted firmly on earth and they are ready to walk in ti, and with it." We must learn to forgive. That is the purpose of community for Vanier. Because we are imperfect and live with our sins deeply entrenched around us, we must learn that being in a place of acceptance requires constant mutual forgiveness. But this isn't a bad thing. In fact, I think that these imperfections -- these cracks and crevices that are split open by our sins against one another -- give God the room to fit in among us. Older PostJesus and Your Brain Podcast!